Pearl Harbor Memorial | Just Shooting Memories! December 7, 1941… A day that will live in infamy. A day when the country was taken by surprise and a sleeping giant was woken. Unfortunately, it was at the cost of many lives, both the day of the attack and the years following. 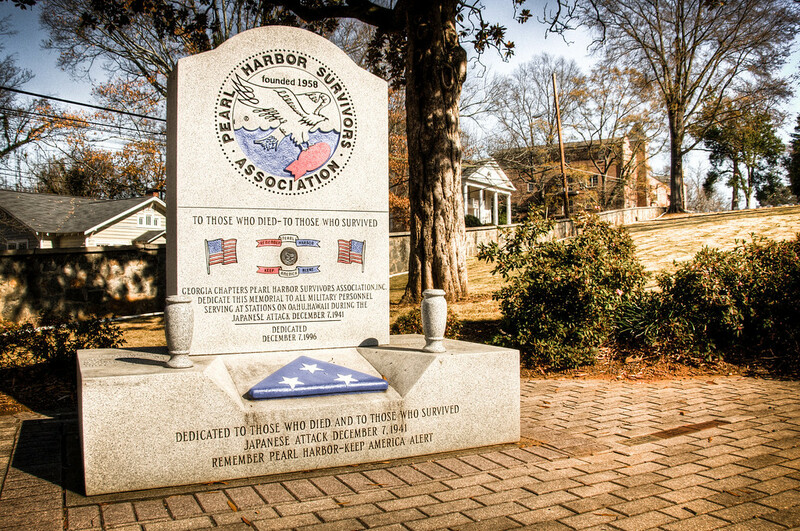 This monument is in the Marietta National Cemetery. It is sobering enough to see it situated among the hundreds of headstones. I could not imagine seeing it sitting somewhere near battleship row and the remains of the ships sunk that day.